Sony has initiated the process of exiting its charge-coupled device (CCD) sensor and camera business. As is usual in this kind of matter, Sony is currently discussing the move with its main customers and distributors, with a preliminary schedule being 2017, with progressive phase out until 2020. The timing might not yet be definitive as discussions are ongoing. One thing is certain: this is the beginning of the end for Sony CCDs. This should not astonish anyone in the industry. Those who have been around long enough have witnessed the end of tube technology and then transitions between different CCD technology nodes. Yole Développement, the market research and strategy consulting company, recently covered those transitions in its latest report, ‘Status of the CMOS image industry, 2015 edition’. The time of CMOS image sensors (CIS) has now come. Volume CCD manufacturers like Sony have to take the necessary steps to get out of this business before their revenues fall below the running cost of their organisation and facilities. The fact that Sony was the leader in CCD means they were mostly dependent on high volume applications like digital still cameras (DSC) and security. Without that volume their CCD business model has vanished, condemning the remaining applications like machine vision. 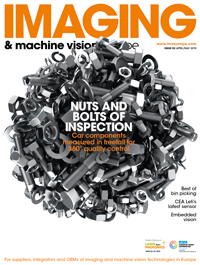 Indeed, this announcement has a major effect on the machine vision community. CCDs have in recent years concentrated on the high end of the market and are particularly appreciated in industrial applications. Some amazing new developments have extended the performance envelope beyond anything thinkable a few years back. CCD technology for a few years. The performance standard is still set by CCDs and for some demanding applications, CCDs will not be replaced. For system manufacturers who were relying on Sony, it is time to make a choice. They must either change to the remaining suppliers, such as Teledyne Dalsa, On Semiconductor (Truesense), e2v, Fairchild Semiconductor, or take the big leap to CMOS. Strategically, this is a very interesting move to watch. Sony has had a singular approach in handling the CCD to CMOS shift and is now accelerating the change. In Yole Développement’s analysis, this might be explained mostly with respect to internal matters rather than external. The move will always feel uneasy for the customer and waiting a few years more does not really change anything since industry cycles are much longer in machine vision. CIS technology is ready, especially Sony’s CIS. Giving more time to customers would mean the competition could also beef up their CMOS offering and capture some market share. Sony’s main motivation might be to concentrate its workforce quickly on a market that will matter in the future: machine vision. There is a French saying: ‘One does not fight the next war with the weapons of the previous’. At Yole Développement, analysts believe this acceleration of the transition may also demonstrate the interest Sony has in staying a major player in the machine vision industry. It is always sad for technologists to watch the creative destruction of technology shifts. I believe this major transition will renew the innovation drive of the industry. Let’s buckle up for a new technology cycle; I am convinced we are not to be disappointed. 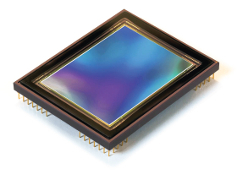 CCD image sensors are dead, long live CMOS image sensors!